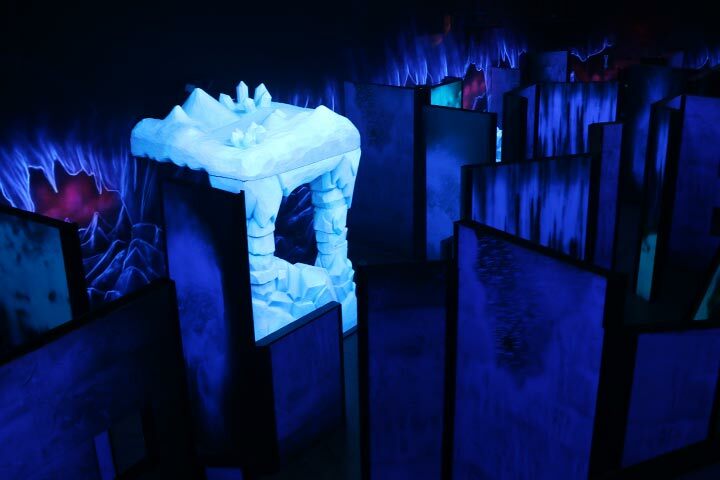 Leave reality behind as you battle it out in Scene75’s multi-level themed laser tag arena! 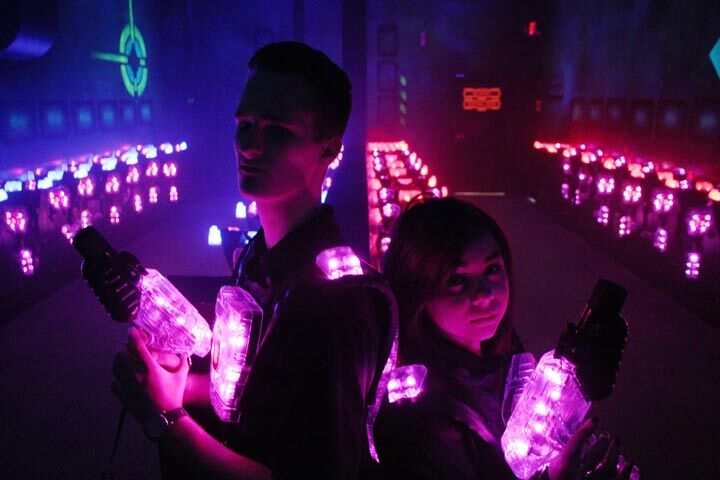 Put your skills to the test and blast your opponents in the best laser tag experience in Ohio! The Best Laser Tag in Ohio! Walking into the laser tag arena you see fog swirling in the air, effect lights shining, and hear music pumping throughout the maze of walls. Each player is equipped with a high-tech laser tag battle suit & phaser. It is up to you & your team to score as many points as you can by tagging the opposing players and destroying their base. The lights on your vest activate, the speakers on your vest tell you to “get ready”, the mission has started! Scene75 Dayton is the largest laser tag arena in Ohio! Our 7,000 square foot, multi-level arena was custom designed by one of the world’s leading designers. As you enter the outer space themed black-light arena you will be blown away by the look, feel, and gameplay of our battlefield. We have recently upgraded to a brand new and more advanced laser tag system in 2016. The Dayton location is now able to have up to 45 players in one game. In addition to the equipment upgrades we have also added more exciting interactive features to improve the game! In the arena you will find a base for each team to protect/attack. As well as an additional neutral base that both teams can target. There are also three power-up beacons throughout the arena, each giving out a unique special ability: invulnerability, double points, or “meltdown mode”. The coolest addition to the laser tag experience is the “meltdown mode”. Featured in the center of the arena is a rocket that is equipped with five small targets on it. During most of the game these targets light up one at a time and can be hit for bonus points. But, once a player tags the “meltdown mode” power-up all five targets will start to glow rainbow. Any player standing near the rocket during the meltdown will have their vest turn rainbow and they will start to lose points until they get far enough away from the rocket. Note Scene75’s laser tag arenas are uniquely themed depending on which location you visit. Don’t know how to play laser tag? No problem! Prior to the start of every game the laser tag marshal will give everyone a quick briefing and teach you everything that you need to know. Once you have gone over the instructions & rules you will head into the vesting room. In there you will put on your battle suit and get ready to head into the laser tag arena to play! Become a Scene75 VIP Member and get access to create your own laser tag codename, track your stats, and earn achievements. As you play you have the opportunity to unlock special features in the game like missiles and nukes to use on other experienced players. Take it to the next level at Scene75 with specialty missions that add a new level to the game. Scene75 hosts occasional competitive tournaments and special VIP Members laser tag events, so be sure to ask an employee for more information.